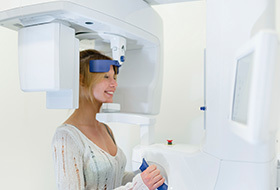 Our state-of-the-art facility enables us to do many things dentists in the past simply couldn’t. 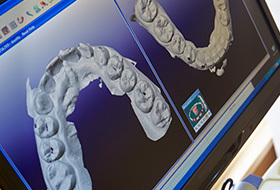 One, our imaging technology helps us better explain your care and actually show you what we’re talking about, taking some of the mystery out of dentistry in the process. Plus, with our soft tissue laser, we can perform even the most sensitive procedures with relative ease while keeping a patient completely comfortable. Thanks to our advanced technology, we can ensure that your care is always fast, precise, and high-quality. You can learn more about it below. This small, pen-sized camera can be easily maneuvered through the mouth to capture high-resolution images of your teeth and gums, which we can instantly show you on a nearby monitor. These will not only make it easier for our team to spot minor dental issues sooner, but you’ll always gain a whole new level of understanding about your dental health. Plus, they make it much easier to explain why you might need a specific treatment. 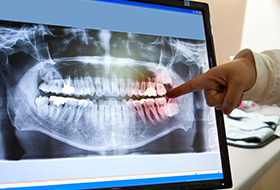 When compared to traditional dental X-rays, digital X-rays are an improvement in almost every way you can imagine. They can create crystal clear images almost instantly, they don’t require toxic chemicals to be developed, and they even expose patient to 90% LESS radiation in the process. 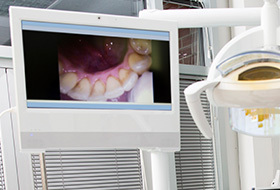 We can even display the images on a chairside monitor for you to go over with your dentist. Now, even you can see your smile from below the surface! Our CT/Cone Beam Scanner allows us to create an X-ray with a bit more detail compared to a regular one. Namely, we can use it to make a fully 3D X-ray of your teeth, jaw, nerves, blood vessels, and several other surrounding structures. This can help us gain a much more global understanding of your dental health, as well as plan more complicated procedures like dental implant placement. Traditionally, the process of receiving a new dental crown required two appointments – one for impressions and alterations, and one for the placement of the finished restoration. 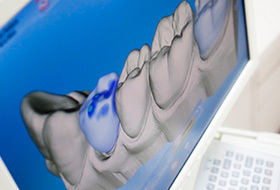 In order to save our patients valuable time, Dr. Rairigh’s office now features CEREC technology for a faster treatment process that still maintains a high level of quality and customization. Now, every step of your restorative appointment, from the impressions to the milling to the finished placement, can be completed in one visit to our Pittsburgh practice. Thanks to our soft tissue laser, we’re able to treat gum disease without the use of a scalpel and sutures. 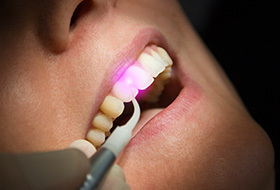 Instead, the laser’s intensely concentrated beam of light can quickly vaporize harmful bacteria located along the gum line, as well as painlessly removed infected tissue. It sterilizes as it goes, and it even cauterizes blood vessels to reduce any pain, swelling, or bleeding a patient may experience during or after a procedure.